Vivint Inc. has become one of the largest home automation and home security companies in North America, with a major feature being its home security systems. 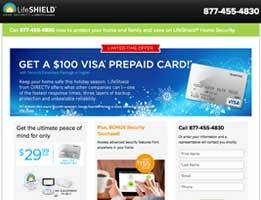 It operates offices in the United States and Canada and serves more than 850,000 customers. Vivint provides excellent solutions for consumers concerned about energy consumption or who want advanced home automation features. 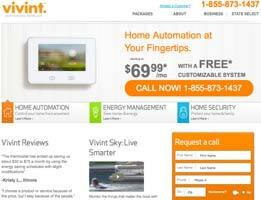 Vivint security says its Energy Efficient Plan can bring homeowners noticeable savings on their energy bills. The plan is a great way to save money and help the environment. People who buy Vivint systems tend to be conscious about their carbon footprint and preserving the earth for future generations. If saving energy is important to you, Vivint will help you to do just that. For $53.99 per month, the Home Security Plan from Vivint will provide 24/7 monitoring of your home, along with a smoke alarm and a carbon monoxide alarm. The plans also include a breaking glass sensor that will alert monitors if a window is shattered. For $59.99, the Energy Efficiency Plan is designed to save you money on energy bills by offering components that turn small appliances on and off and control your thermostat. For $69.99, the Home Automation Plan includes a video camera and allows you to monitor your home via a live video stream. The video surveillance plan is the perfect addition for those who travel often or want to see what’s going on at all times. The home automation and video features offered by Vivint are incredible. 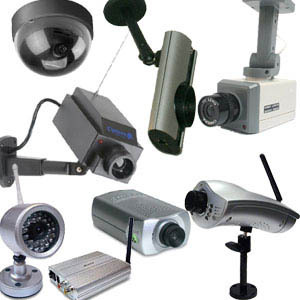 You can access any of the wireless or wired cameras in your system at your computer screen or on your mobile device. If you travel a lot or if you just want to keep an eye on your kids, the Vivint system is a great way to stay in touch. The technology is easy to use, and it will help you remember if you left a curling iron on, or if you forgot to lock the back door. Vivint’s integration of a home security system and energy efficient components makes sense for many reasons. The option to control aspects inside and outside your home remotely will not only save energy but also create the appearance of an occupied home. The mobile app gives you total control of your system and goes a long way toward ensuring your satisfaction. Thank you for reading our Vivint Security reviews. I was ready to move and had even started packing. I no longer felt safe knowing that three neighbors on my street had experienced break-ins. As a single woman, I was already feeling vulnerable so the knowledge of these break-ins was really upsetting. I talked to my mom and even agreed to move home to live with my parents. It was then that my neighbor said she had just put in a system from Vivint. I checked reviews for Vivint and found many happy customers. I decided to follow in her footsteps and have a Vivint system put in. I finally have my life back. I am not scared to be at home and I do not get scared every time I hear a noise. I wish I had put in a Vivint alarm system much sooner. It makes me feel better when I leave every night to work the graveyard shift. My wife now sleeps better knowing the house is protected by Vivint. And I can feel better as I pull out every evening. I had a Vivint system in my first house. When we decided to move, I knew I wanted to have an alarm our new house. Their customer service was amazing and made the move piece of cake. They arranged for the new system install immediately following our move in and it was nice to have peace of mind. After my wife had twins, I knew we needed an alarm system. I wanted the extra protection while she was with the boys while I was away. In addition, I would be terrified if she came home to see the house torn up or even come home during a burglary. Vivint answered all my questions happily and fully. The install process was easy and painless. 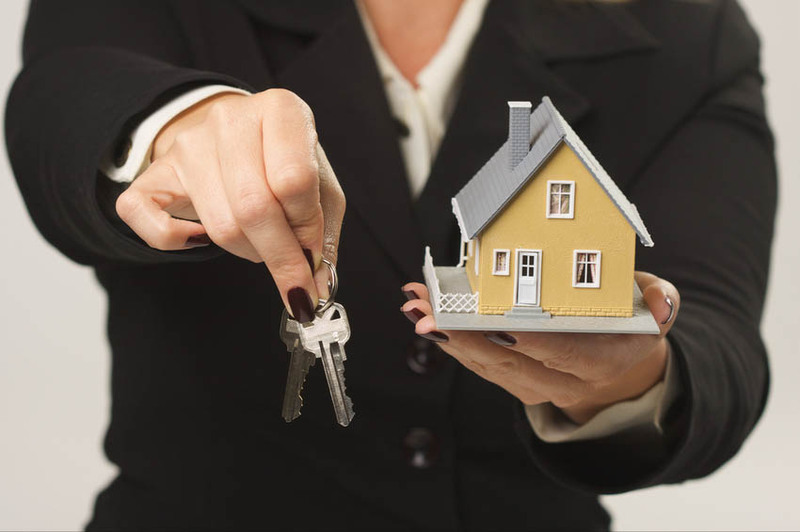 The system is easy to use yet very comprehensive and complete. I am a very happy customer! When my home was broke into, I was scared about what would happen to me and my family in the future. Even though we were not home, this is something that really put the fear into my heart. This is when I went out and purchased the Vivint Security home security system. I heard good things from family members, and I knew the time to buy was now. I have been happy with the system from day one, knowing that it is giving me the level of service that I truly need to feel better. It is only natural to feel safe in your home, however, some people never know what this feels like. 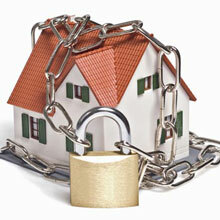 If you are worried about your safety, you can get over this once and for all by installing a home security system. This may not be something you have considered in the past, but as you learn more about it you are going to find that you are making a good decision if you decide to move forward. There are many benefits of Vivint Security, and this is the company I decided to do business with. The reason for this was all the positive reviews I read online. I also knew a few people who have it in their home, so I felt good about my decision to move forward in the same direction. You have to take the time to compare the many options that are out there, but at some point you need to make up your mind on what you are going to do next. If you are anything like me, you will take one look at the Vivint Security and realize that it is right for you and your property. Using Vivint Security for almost two years I can say we are so happy we have it. There were two incidents over the course of those two years and without Vivint Security I don’t know where we’d be. My wife was upstairs with our baby and someone tried to break in through the backdoor. Luckily the alarm for Vivint Security went wild and scared the guy off. We are very thankful for home security systems that actually do their job and Vivint Security is something every family needs. We are in a nice area with fairly low crime rates, but you never know what makes you a target. I have had three other home security systems in the past and none of them live up to Vivint Security. 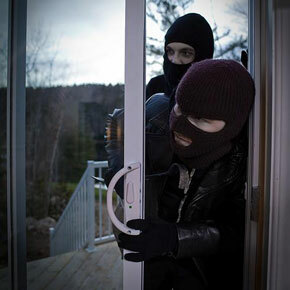 Vivint Security is high quality service that offers more than just your basic alarm system. 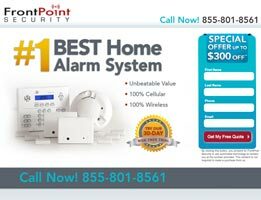 They also have emergency alarms for medical issues and wireless security cameras that totally upgrade what you’re used to from a home security system. The alarm systems in the past were truly lame compared to Vivint Security. We have had alarms at every one of our homes and ### is by far the best because you can watch your home from anywhere with an Internet connection. For those who travel or simply want another means to keep an eye on their home themselves, Vivint Security is the home security system for you. I am really glad we went with Vivint Security because we looked into a lot of different alarms before deciding on one. We needed protection because there are a lot of teens in our neighborhood who have nothing better to do than trash people’s yards and occasionally break into vehicles to steal random junk. I don’t know why this generation chooses to do such dumb things but with Vivint Security on our side we can keep watch on the house without looking out the window all night. I bought Vivint for a rental we have in a rough part of town. The street has been the site of gang activity in recent years and I want my tenant to feel as safe as possible. Though the property taxes and other things in that area are very low, I do not think that’s a reason for people to feel unsafe or think the cops won’t reach their home in time to stop a crime. 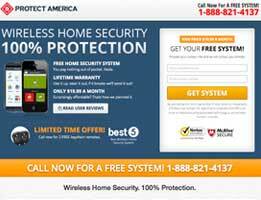 This home security system gives a layer of protection for a fantastic price that is worth keeping people safe. I will continue to use Vivint for my own home as well! Vivint lets me watch my home even when we’re out of the country. Their app is flawless and it makes this home security system stand head and shoulders above the rest. The price is fantastic considering everything you get. Don’t worry about your home once you have Vivint installed. The installation process for Vivint was minimal. I am an engineer, but assessing the directions I can tell it’s the type of installation anyone could manage. I knew it was the right choice for us when a would-be intruder tripped the motion sensor in our garage. There was minimal damage done to our door and the alarm went off right away which scared him away. We called the police and the intruder wasn’t caught, but we’re safe and he knows better than to try our house again, which is what we want out of a home security system. Vivint is brilliant for renters because you can take it with you when you leave! 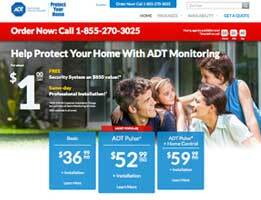 For us this was important, but we did want a reliable home security system without spending a ton of money. I highly recommend Vivint.